Who was Long Tack Sam? He was born in 1885. He ran away from Shangdung Province to join the circus. He was an acrobat. A magician. A comic. An impresario. A restaurateur. A theater owner. A world traveler. An East-West ambassador. A mentor to Orson Welles. He was considered the greatest act in the history of vaudeville. Ann Marie Fleming is an award-winning Canadian independent filmmaker, writer, and artist, born in Okinawa of Chinese and Australian descent. 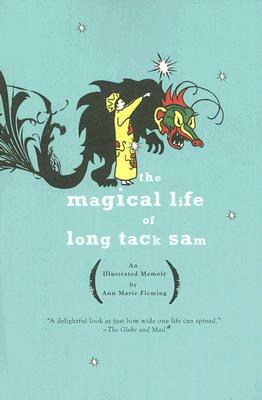 Her critically acclaimed graphic novel, The Magical Life of Long Tack Sam, was adapted from her same-named documentary film, and is on the American Library Association's list of "10 Best Graphic Novels for Teens.” It was nominated for two Eisner Awards and won the Doug Wright Best Book Award for graphic novels in Canada. Her work primarily deals with themes of family, history, and memory.